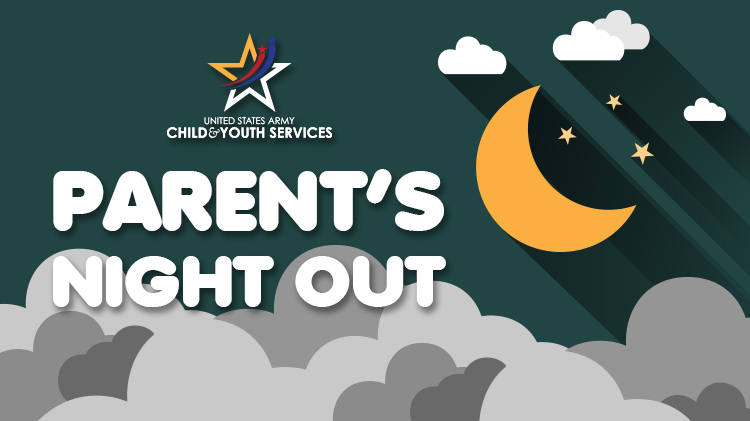 Date: Aug 9 2019, 6:30 p.m. - 10:30 p.m.
All children receiving care are required to be registered with Child & Youth Services and record must be current. If you need help or more information, please contact Parent & Outreach Services. Advance registration is required and payment is due on the day of registration. Registration may be made up to one month in advance. Reservations must be cancelled no later than close of business on the Thursday before the event in order to receive credit. To sign up for childcare, please call or visit the activity your child is enrolled in.